MK Hotovely said in interview 'American Jews live comfortably and don't understand Israeli reality.' Prime Minister distances himself. Following the uproar caused by Deputy Foreign Minister Tzipi Hotovely's remarks according to which "American Jews live comfortably and do not understand the reality in Israel," Prime Minister Netanyahu issued a statement distancing himself from the sentiments expressed. "Prime Minister Binyamin Netanyahu condemns Tzipi Hotovely's offensive remarks towards American Jewry," the statement said. "The Jews of the Diaspora are dear to us and they are an inseparable part of our people, and there is no place for such an attack, and its words do not reflect the position of the State of Israel," the statement said. Hotovely herself published a clarification this morning, stressing the importance she sees in the connection between Israel and the Jews of the United States, claiming that the way her words were published removed them from their proper context. "Deputy Foreign Minister Tzipi Hotovely explains in response to the 'storm' that the interview on i24news sparked about American Jewry because it spoke about the complexity of life in Israel under the constant threat of terrorism and the firing of missiles at the civilian population. The difficulty in understanding the reality in the Middle East for people who do not experience the daily reality of Israel really is great. The gap stems from a different reality of life. This is the basis for the distancing between American Jewry and Israel," the statement said. "Despite the fact that only a small part of the full interview was distributed, it is important to say that most of the interview spoke about the importance that Foreign Minister Tzipi Hotovely sees in the connection between us and American Jewry and that Israel is the home of all the world's Jews. It's a shame that this part was left out of what was published on the Internet. 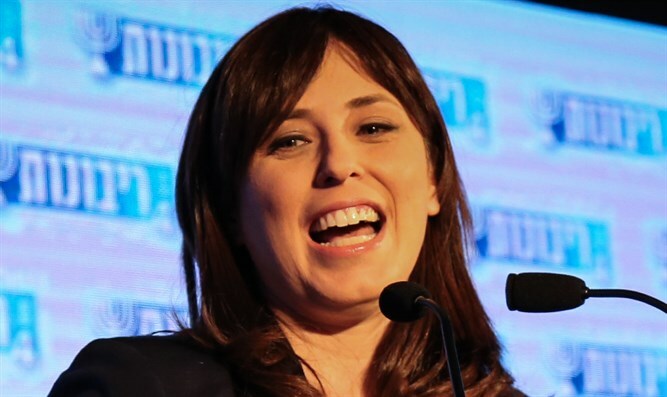 "Deputy Minister Hotovely makes it clear that American Jewry's contribution [to Israel] is extremely significant, but it is impossible to condition the connection to Israel on government policy. It is worth remembering that in recent years there has been a heated debate within the various streams of Judaism about identity, and it is good for a healthy democracy to conduct an argument on issues," she said in her statement.